Rare MP3 recordings with priceless information from the "Grandmother of Interspecies Communication"
Animal Communication and the spiritual beliefs that have come with it, have brought me to a place I feel I have always meant to be. The only way I can describe my life was like a tiger being born in a zoo; he would have no idea what he longs for, and he knows he belongs elsewhere, but can't figure out where. Then one day he is realeased out into a jungle, and it all makes sense. He knows this is what was always in his heart; he is home. Because of you, I'm home. A.R. The history, development, and future vision of animal communication around the world. 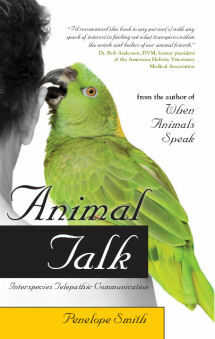 Penelope Smith's personal animal communication history and how she became an animal communicator. The transformational power of animal communication and what people learn from animals. Why animal communication is important for our wholeness and planetary-wide evolution. How to improve your telepathic reception with animals to get a broader scope and more accuracy. How to tell the difference between receiving true communication from animals and your own thoughts or mental projections. Learning how to pay attention, listen, and be in the receptive mode. How to apply essential principles to learn how to communicate with animals. How to strengthen your bond with your animal friends. How to make practices animals may not like, such as giving medicine, easier for them and us as caregivers. Solving cat litter box issues. How to know if animals have been with you before. How horses feel about working in New York City's Central Park. How to communicate with nature spirits and understand their purpose. How to handle rescued dogs fighting or other animals who are out of control. How animals reincarnate; spirit combinations; soul groups. 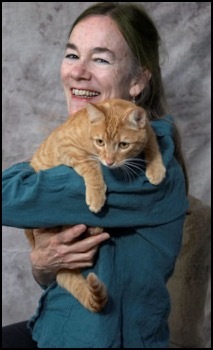 This classic seminar by a revered animal communication master teacher is not to be missed! Smith's clarity and wisdom shine through as she discusses her discoveries about the whole process of opening to telepathic communication and the stages of growth that people travel on this journey from separateness to oneness. Recognizing these stages and what to to expect on this journey can encourage you to carry on when you stumble and applaud as you progress. Telepathic reception is a connection through both the heart (feelings) and the mind (thoughts). Smith explains how, as you continue to open, soften, feel, and receive more through your heart and whole body, you get more of the full range of telepathic communication from animals, including animals' feelings, emotions, and physical sensations. Also included are answers to questions from listeners about dolphins and whales, where to start with animal communication, and getting in touch with lost animals. 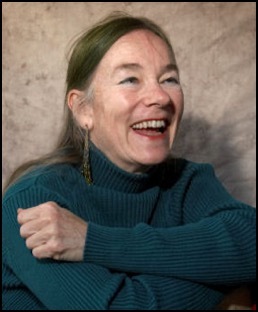 Dr. Laurie Moore interviews revered, founding animal communication specialist and spiritual teacher, Penelope Smith, about her philosophy and way of life. Penelope expresses how to live a compassionate life filled with joy and grace by appreciating the teachings that come with every event and being in our lives. Playfulness, kindness, acceptance, appreciation, humor, and laughter fill her theme of living in a natural outflow of love and compassion in action. She shares her insights on how to live authentically in the divine comedy of life on Earth. In the course of the interview, Dr. Laurie Moore and Penelope flow into a playful banter and exchange their mutual discoveries aobut life, growth, and animal wisdom, expressing a level of synergy of understanding that is electric. You were channeling the Divine Mother’s healing magic long before the rest of us and daring to face controversy your entire life in order to manifest more TRUTH and TENDERNESS in this world. You've made an ENORMOUS difference on this planet, Penelope, and I just want to thank you from every little whiskered angel whose life you touched. Meeting Penelope has changed my life and returned me to the happiness I had as a child, connected and in love with all creation. Penelope's great gift as a teacher is to point the way, not to impose some formula. The Great Mystery is pointed to, a path is shown, but how one walks it is unique and she wisely lets you grow into your power and connection to that Mystery. Her guidance is so sure and true; yet, she does not indulge in ego, either hers or mine. This is a great and very rare gift. C.C. Penelope, thank you for teaching me the steps, I'm more clearly hearing my own music! C.L. I know many people have no idea what an incredible responsibility your calling is. You have always maintained the highest integrity in all that you do. There is no doubt that the Divine called you to this task for this very reason. Thank you for blessing our lives. S.C. Thank you once again Penelope, for being the pioneer for us all. I believe we would each be struggling mightily to establish ourselves and this work were it not for your being our pathfinder. St. Francis is an important guide in spirit for my work, but you are the main being who brought this work possible for us all on the earth plane for this time. 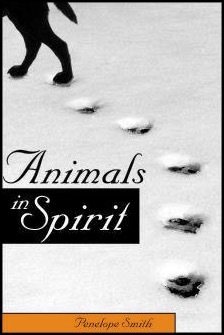 This is a powerful gift you have given the animals, their people, and all of us who now walk in your initial footsteps. Please know that I honor you and what you have created for so many. May you be given ten times all you have given us all. T.W. You give so many of us so much to be truly grateful for. I acknowledge your devotion of life itself through your support of so many kingdoms. My humble appreciation is but a drop in a magnificent wave of gratitude from so many. S.C.
Look at the flow of animal communication which you pioneered! You have established a living legacy that will live on forever. J.H. At last, this burning question is now fully answered here by the teacher of teachers! This insightful, lively seminar addresses a key question asked by many people. How to know if telepathic communication with animals is real has always been an important focus of Penelope’s teaching. It is crucial to have a reality test for what you receive when you communicate with animals, so you don’t just think you are making it up, or you confuse your own thoughts with animals’ communications. How people wake up to their spiritual nature through their connection with animals and how animals can enlighten humans. How telepathy works; how we telepathically sense as babies. Telepathy is a universal language, a pre-language, and is behind all language. How telepathic understanding gives us what is behind words and deepens our understanding of what we and other beings are really feeling. How telepathic communication is different than linear, analytic thinking, or trying to figure things out. It involves a whole body, mind, spirit connection rather than simply recycling thoughts or preconceptions. How telepathic communication comes across and how to recognize it. How to begin to telepathically communicate, allowing it in, and telling whether it is your own projection or is what the animal communicated. How animals respond when you get their true communication and understand them. How you feel when you receive and understand a true communication. Checking whether your communication is real from different angles. Qualities of true telepathic communication. What to watch for to discern the difference between projecting and truly receiving. What state to be in to connect and receive. The foundation of good animal communication ability. The difference between those who get animal communication deeply and clearly and those who mix communication with human thoughts and projections. Signs you are projecting and didn’t get the true communication. How to be vigilant about your own projections and agendas and grow spiritually with the telepathic connection. Part 1 - Master animal teachers are individuals who have extraordinary presence, a potent grasp of higher and deeper realities beyond physical reality, a wisdom, serenity, and love that can be strongly seen and felt by others, and who live in a way that demonstrates levels of higher evolution possible for us all. Penelope relates experiences she has had of master animal teachers, such as dolphins, whales, birds, and cats, consciously traveling through dimensions. 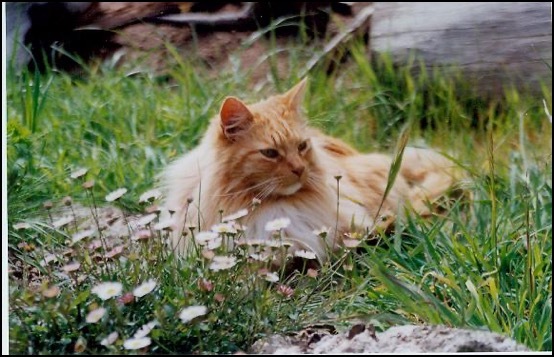 Particularly intriguing is a recent experience with orange tabby cat, Oliver, who was sent to her by her former orange tabby, Master Wizard Sherman. Their collaboration in an adventure of remarkable traveling, physically and otherwise, brings science fiction down to Earth. Always lovely to hear your voice and feel your and the Master Wizard's energy. Of course, you are both Master Wizards and I feel blessed to know you. Thanks again from all of us and we look forward to part tow. I just realized I had a healing, and everything around me looks a little transparent, wow! M.B. I was on the conference call with Penelope last night and something really amazing happened during the call. I was listening to the call on speaker phone and my cat, Laura, was sitting on my lap listening with me quite intently. Of course, Laura isn't just any cat; she was my Great Pyrenees, Bertha, in her last lifetime who always loved cats. Bertha was a pure white dog but we always marveled at her ability to literally disappear into the darkness of the night. We used to tease around and say that Bertha was a magician who could appear and disappear at will. At that time I knew nothing of animal communication and certainly not dimensional travel. I have only started animal communication in the last year or so and still consider myself a beginner. Some days a lot more comes through to me than other days. So you can imagine my surprise when I hear my cat, Laura, tell me that when she was Bertha she was popping in and out of a portal on our land when she was disappearing in front of us. I proceeded to have a wonderful conversation with her, the best one every. I think being on the conference call was giving me a real telepathic boost and making me much more open, so a big thank you to Sherman! I know that my cat is a shaman energy being, as is one of my horses. This particular horse has been trying to get me to walk our land slowly and thoughtfully, one square foot at a time, but I never seem to find the time. I'll bet this is why he wants me to do this. I'll have to try to ask him about this. So….thanks for doing the conference call. Obviously, I got a lot out of it. I can't wait to listen to the recording again and see what else comes up. S.A.
Part 2 - In the first half, Penelope discusses how we are now able to move forward in our evolution to connect with each other in a unified was as abundant energy is continually being released on the planet for our spiritual growth. Answering seminar participants' questions, Penelope explains the nature of portals found on Earth that access other realities and how to find and feel them, how the veils between dimensions have dropped so that instead of multi-dimensional reality with separations, we now have all-dimensional reality available and we can perceive and travel dimensions in a new way. Other questions elicit information about how the telepathic connection goes beyond linear time and space concepts into understanding a greater reality; how animals are activated to express more of their spiritual missions now that many humans are more receptive; how we can continue to access spiritual realities and ground ourselves in our spiritual center through our daily life challenges. Guided by Penelope and Sherman, the journey in the second half leads us to experience dimensional travel as an expansive, grounded, all dimensional, all life connection in our unified oceanic atmosphere of being. This is cutting edge evolutionary material not available in this way elsewhere. Spiritual adventurers, don't miss this opportunity! 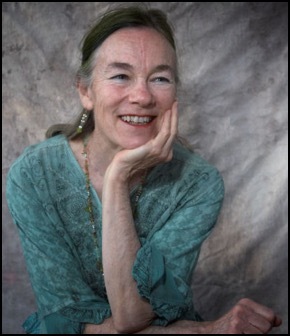 Dr. Laurie Moore has helped people around the globe to discover new depths of universal love, create dream realities, transform self-defeating habits, and find evolved ways of communicating with all species. www.animiracles.com. Beyond imaginings of space and deep in the blessing of this time…. Where fixing, changing, and analyzing self and others was once a positive solution to the call for change, this practice may not serve us well in this age of rapid spiritual evolution. We are encouraged, instead, to celebrate every thought, feeling, and energy we experience in self and "other" as a call to love and compassion, with the example of other species' positive approach to living as an inspiration. The speakers show us how, as we remain present and in humble appreciation of every thought, sensation, or awareness that arises within us, we become open to the fountain of divine being found underneath whatever is manifesting on the surface. We can utilize the grace of animals, plants, and all of Nature as ushers into humility, gratitude, kindness, authenticity, love, joy, profound states of being, and the playfulness of living. Some simple ways of seeing and gently riding wave upon wave of consciousness take us into state of deep fulfillment with the universe, ourselves, and the ONE HEART. Receive nourishment and grace, drop out of superficial illusions, and learn practical steps of flowing through states of fear, disconnected thought, and being caught in the events of the tie. We venture into new locations of bliss in motion by marrying all that we are, all that we once judged, and all we are coming to be! I wanted to let you both know how very much I enjoyed the whole gathering, and to thank both you and Penelope for answering my question so thoroughly and with so much depth and attention! ( I was blown away with gratitude, frankly.) In short, your answers helped me solidify the directions my intuition has been pointing me toward for quite awhile now, so it was very nice to hear it clarified that I am, indeed, on the "right track." You both "present" in such a warm and detailed fashion, it's a joy listening to what each of you shares. I also appreciate each of your "softer sell" approaches - a breath of fresh air in the current climate of most tele-talks. I'll also be checking out your course, in case I can fit it in shoehsw. I look forward to re-listening to the entire evening again, and sharing all the great information with friends and family. D.H.
Be sure to include your correct e-mail address.